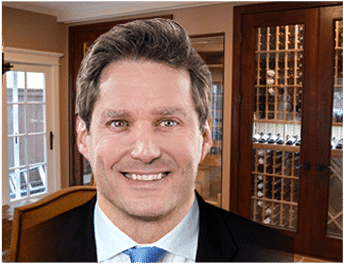 For wines to develop to their full potential, they not only require a wine cellar space that has a stable environment, but also one that is equipped with the appropriate wine storage solutions. Wine racks are specially designed to facilitate proper placement of bottles during storage. Storing wine bottles on their side allows the cork to maintain contact with the wine, which is essential to ensuring its sealing quality and preservation of the taste and flavor of wines. Wine storage solutions are purpose-built to hold wine bottles at an angle and to provide a platform upon which wine lovers can showcase their collection. They come in a variety of styles, sizes, and storage capacities that can suit different design preferences and storage needs. Wood and metal are the most common materials used in manufacturing custom wine racks Los Angeles California. 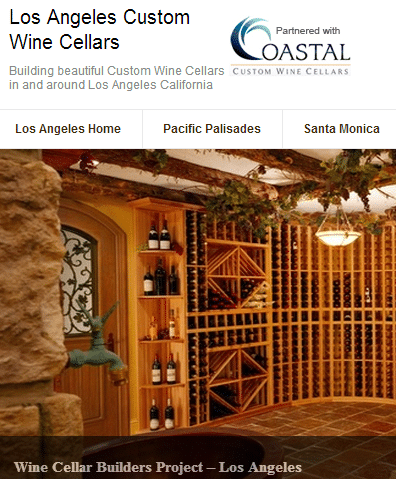 Wine rack designs by Coastal Custom Wine Racks Los Angeles California provide a range of storage solutions that can accommodate both residential and commercial applications. They offer racking systems made from metal pieces for wine enthusiasts who want to bring a contemporary look to their wine cellar. Wooden wine racks are also available for collectors wishing to maintain a traditional feel. Coastal wood wine rack displays are handcrafted by skilled craftsmen, using only the best wood varieties in wine rack construction, such as Northwestern Pine, Premium Redwood, and Malaysian Mahogany. To help accentuate the natural beauty of the wood product and enhance its aesthetic quality, a range of wood stain options are available, including Rustic, Chappo, Cherry, and Chestnut. Single bottle storage racks have high reveal display rows that are pitched at a 15 degree angle to prevent the drying up of the cork and to allow for easy visibility of the finest labels. This storage solution is available in 6′, 7′, and 8′ heights. It has a bottle opening of 3 3/4″ that can accommodate all 750 ml wine bottle sizes. Curved corner display wooden wine racks are specifically built to provide a smooth transition between walls. It also comes with a display row where wine aficionados can present their favorite wine bottles. This display rack features a true radius curve that offers a continuous appearance and also adds to the structural integrity of the frame. Check out these curved corner display wooden wine racks we installed for a wine cellar project. 6′ Two-column split bottle wine racks are designed to hold 375 ml wine bottles or half bottles. It has a total bottle storage capacity of 46 split bottles. This display rack measures 74 1/8″ by 8 1/6″, and has a depth of 12 1/4”. 6′ Two-column magnum and champagne wine racks are specially made for storing large format bottles. It has a bottle cubicle opening of 4 1/2″ for magnums and champagne bottles. This racking system has a storage capacity of 32 bottles. For storing wines in bulk, Coastal offers Diamond bins and X-Cube storage racks. Both wine racks are ideal for bulk storage and storing large format bottles. Diamond bins have a total storage capacity of 200 bottles, while X-Cube wine racks can hold up to 132 bottles. These storage solutions are designed to maximize storage capacity and to promote better air flow between bottles. All wooden wine racks designed by Coastal Custom Wine Racks Los Angeles California are built with 1 1/2″ toe-kick base that elevates the wine racks off the floor and protects wine bottles against damage. Their wine storage solutions are equipped with rear stabilizer bars to provide structural integrity to the entire frame, hand sanded to prevent scratches on wine labels.